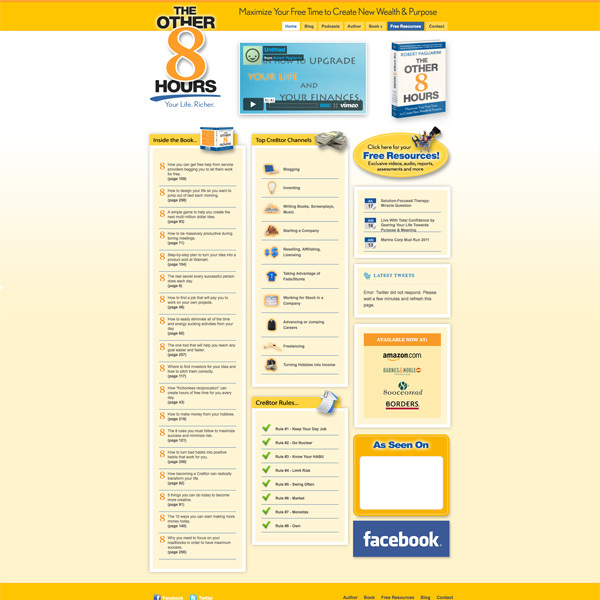 Website designed and developed for Mr. Robert Pagliarini’s new book titled, The Other 8 Hours. Robert wanted the site to be a resource driven website for readers of his book. Providing readers tools and resources to maximize their time and take control of their lives. I was responsible for both the design and development of this project.